To say that Botox has really taken off in the 21 years or since since it was introduced would be a vast understatement. Botox is currently the most popular cosmetic procedure in North America with well over 2 million procedures performed in 2008, according to estimates from the American Society of Aesthetic Plastic Surgery. That equates to 24% of all cosmetic procedures done that year, and 92% of them were done on women. Botox has a safety record that beats nearly every other medication available. Botox is the brand name of botulinum toxin. After it is injected into facial muscles, it attaches to the nerve endings, blocking nerve signals to the muscles, paralyzing them but not blocking sensation. It is the movement of these muscles that causes wrinkles in the first place, so when they cannot move, they cannot cause wrinkles. These effects last 3-4 months, depending on a variety of factors. The temporary nature of Botox is the reason it has such a great safety record. The most common esthetic uses of Botox are smoothing the fine lines in the forehead and between and around the corners of the eyes. 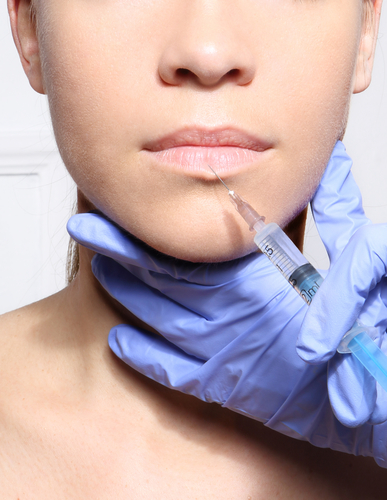 As more and more dentists begin offering Botox, other, more therapeutic uses are being found. Many dentists are unaware that Botox can be used to treat TMJ, bruxism, and other types of facial pain caused by muscle spasm. Botox is frequently used alongside dermal fillers as a nonsurgical method of treating high lip line cases. Traditional treatment involves periodontal flap surgery that includes substantial osseous reduction. This procedure would be followed by procedures to establish dental esthetics to complement the surgery. It doesn’t take a dentist to realize that is far more invasive and aggressive treatment than most people want to undergo. Alternatively, a bit of Botox to weaken the muscles around the lip and dermal fillers to augment the lips can achieve much the same result with far less expense and recovery time. Of course, this should be done carefully so as to maintain normal function of the lips. That’s not to say that the more aggressive option doesn’t have its advantages. After the treatment is complete, the results are permanent, while Botox and dermal fillers must be repeated a couple of times a year. However, the results are immediate and recovery time is minimal. As a dentist, it doesn’t make a whole lot of difference which route the patient chooses, but it does provide more treatment options. This is just one scenario that shows the role Botox and dermal fillers can play in esthetic dentistry. Color and position of teeth are no more important to a beautiful smile than the soft tissue around the mouth. As a dentist it is easy to become so focused on the teeth that one can forget that other areas are just as important. Botox can also play an important role in orthodontics. In some patients, a strong mentalis muscle can cause teeth to slip back to their pre-therapy positions. Botox can weaken these muscles so they can be retrained to follow more normal movement. Botox can also be helpful for patients getting used to dentures. Even perfectly fitting dentures can be difficult for patients with strong muscle contractions. There is some confusion regarding whether Botox fits in the scope of dental practice and it’s important to realize that dentists, because they work almost exclusively in the oral and maxillofacial areas, are at least as skilled as any other healthcare professional that doesn’t spend near as much time working on this area. Currently, every state allows dentists to offer Botox for therapeutic purposes, and about half of states allow dentists to use it for cosmetic purposes. Some dentists have concerns that these products should only be used by doctors. However, I would point out that dentists inject local anesthetic frequently. Local anesthetics have much greater potential for complications and reactions than Botox or dermal fillers. After training, you can be just as comfortable injecting Botox as you are injecting local anesthetic. Another common misconception is that learning to administer Botox takes months of training. Quite the contrary, most professionals learn to administer Botox and dermal fillers in a one or two day course. These courses include a hands on component that is absolutely critical to becoming proficient in these procedures and learning to combine them with dental treatment plans. Isn’t it time to expand your practice to use all of the tools available? Botox and dermal fillers are minimally invasive tools that can provide additional options to your patients. The procedures can be performed in just a few minutes while your patient is already in the office for their regular checkups. Patients love being able to get the procedures done by someone they trust and with whom they have developed a relationship. It just makes sense. As Botox and dermal fillers become more of a mainstay in dental practices, a whole new category of facial esthetics is taking hold. It is estimated that one out of every five dentists in the US are now offering Botox and dermal filler therapies for both therapeutic and cosmetic purposes, and this area of dentistry is growing rapidly. Most dentists will say that whitening and veneers are among the most important cosmetic procedures they perform, but many of their patients seem inclined to disagree. Many patients are more interested in enhancing their smile as a whole than simply getting great teeth. Many dentists, however, are intensely focused on the teeth, telling patients that all they need is a set of veneers to improve their smile. These dentists couldn’t be more wrong. The truth is, a great smile involves much more than just teeth, it involves the tissue both in and around the mouth, such as the lips, cheeks, chin, jowls, and more. Nearly everyone is familiar with Botox and dermal fillers. These days all you have to do is pick up a magazine to read about some celebrity getting Botox or dermal filler procedures. I would challenge you to make one tiny change to your medical history form. Add a question asking your patients if they’ve ever had Botox or dermal fillers. You may be surprised, and a little annoyed, at how many people answer yes, despite ignoring your repeated urgings to get a broken tooth fixed. It is quite common for dentists and their patients to have very different priorities regarding esthetics and well-being. Why are Botox and dermal fillers so incredibly popular today? And how could the economics of these procedures affect your bottom line? In a survey of dentists who have enrolled in these courses, many dentists simply crunched the numbers and come to realize that they can potentially grow their bottom line by offering these services. Many dentists find these procedures an attractive addition to their services because there is no large, expensive equipment required, no monthly payments, and the accessories needed to perform the procedures cost next to nothing. They realize that the more of these procedures they perform, the more they can make. The greatest expense is the actual product, and it’s not necessary to keep a huge inventory as they can be shipped overnight. Many years ago, I learned the philosophy of faster, easier, and better dentistry. This is the key to controlling overhead, not just in dentistry, but in nearly any field. It pays to invest in anything that will both improve the quality of procedures and decrease the time it takes to perform procedures. Botox and dermal filler therapies certainly qualify. Our training courses focus on teaching about facial anatomy and physiology, preventing and treating adverse reactions, managing patient expectations, and everything you could possibly need to know about using Botox. Participants are often shocked to learn that administering the Botox injections takes no more than 5 minutes. Dermal filler injections take a bit longer, but can still be completed in 15 minutes or less. Once you have completed your training and established a routine, you’ll be surprised at how many of these procedures you can perform each week. Ask yourself this; Can I squeeze a couple of extra five minute procedures into my day? How about if these five minute procedures are especially profitable? Let’s talk about how much you can charge to perform these procedures. There are a few different ways you might choose to structure your fee schedule for Botox and dermal fillers. You might set your fees based on how much product you need to use. You might set your fees based on what areas of the face are being treated. Or you might simply offer an overall total facial esthetics and smile makeover package for a flat rate. Dentists have a unique skillset that allows them to offer facial esthetic packages that might combine Botox with bleaching or veneers, or dermal fillers with crowns or straightening. The possibilities are near endless. When you offer Botox, you might be surprised at how many of your patients are then willing to finally get the other procedures you’ve been recommending to them for years. If you look at what you can charge for Botox and dermal filler products alone, you can easily charge anywhere from $600 to $3,000, and that doesn’t include any dental services you might perform for the patient that day. This is a big range, but depends on how much product you use, how many areas you are treating, and whether you are performing any type of soft tissue enhancement. The product you use during the procedure, again depending on how much you use, will cost you between $50 and $500 and your time investment is between 5 and 20 minutes. It’s easy to see how quickly this can add up. Now, I know you’re asking yourself whether patients will pay for this. The short answer is… In a heartbeat. Currently, more than 30 states allow dentists to offer Botox and dermal fillers for oral and maxillofacial cosmetic purposes, while every state now allows dentists to offer Botox and dermal fillers for therapeutic purposes, including TMJ, bruxism, improve soft tissue function, facial pain, and angular chelitis. Isn’t it time you started offering your patients the benefits of being able to turn to you for their Botox and dermal filler treatments? And don’t you owe it to your practice to offer this lucrative, easy, and quick procedure to your patients? If you think about it, as a dentist, you possess a unique set of skills that allows you to offer a total facial esthetics package that no other type of healthcare professional can, because you are the only one who can treat your patients’ teeth as well as administering the injectables. A smile enhancement may involve more than just the teeth, but it isn’t complete without great teeth. Before you can start offering these procedures, you have to get trained. You didn’t learn to place implants by watching a video or reading a book, and administering Botox and dermal filler injections is just the same. You must have hands on training with live patients. You need to fully understand the products you’re using, including what they can do, as well as the anatomy of the parts of the face on which they are used, and how they will affect the entire appearance of the face. Many other healthcare professionals, including nurses, chiropractors, medical estheticians, and, of course, doctors, are offering these procedures on the very same areas that you work on every day. Aren’t you at least as skilled in facial procedures as they are? You see your patients twice a year anyway, and they trust you. Doesn’t it just make sense to offer the procedure while they’re already in your chair anyway? Now is the time to offer Botox to your practice. General practice dentists often follow a philosophy that focuses almost exclusively on teeth, especially when in terms of esthetic treatments. While treatments like whitening and veneers have their place, they are just one aspect of facial esthetics. The teeth are only one part of a beautiful smile. That smile also depends on the tissue both in and around the mouth, such as lips, cheeks, chin, jowls, and nasolabial folds. BOTOX is the leader in esthetic products, closely followed by products such as JUVEDERM and Restylane. Nearly every popular magazine features celebrities who have had these treatments, as well and whitening and veneers to enhance their appearance. Despite the increasing familiarity with these products, dentists meet with mixed reactions when they offer the procedures as part of their practice. Dentists can gauge their patient’s receptiveness to dermal fillers by adding the question “Have you ever had BOTOX or dermal fillers?” to their medical history forms. You might be surprised at the answers. BOTOX and related products have becoming increasingly established within the scope of dentistry. The procedures have been found to have a number of useful dental applications beyond facial esthetics, including orofacial pain relief and treatment of bruxism. Your practice can benefit greatly from offering these services as part of your practice. There are very good reasons why facial injectable products are a rapidly growing aspect of dentistry. All it takes for many dentists is to crunch the numbers to find they will come out ahead by offering BOTOX and dermal filler products in the office. Getting started is inexpensive and easy. There is no large equipment to buy (or find room for) and no monthly payments. The equipment needed to perform these procedures is not expensive, the primary cost comes from the actual pharmaceutical products. It is not necessary to stockpile a huge inventory of these. As soon as you start to run low, you can place your order and have the product in your office as soon as the very next day. 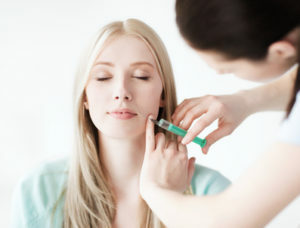 Getting started with injectables does involve one fairly significant investment, but it is one that will dramatically improve the rest of your career. Before you begin offering BOTOX or dermal fillers in your office, you must first be trained in their use. You didn’t learn how to perform implants or other procedures by just watching a video or reading a book, and injectable procedures are just the same. You need instruction from a skilled provider, training on live patients, a thorough grasp of the products you will be using, knowledge of the anatomy you will treat, and what can and cannot be accomplished with these procedures. Training courses involving live patients are now frequently offered at dental meetings. These courses cover all the clinical knowledge needed, including anatomy and physiology and preventing and treating adverse reactions. Course participants are often surprised to find that the BOTOX injections only take a few minutes to administer. Dermal filler procedures can take a little longer, but can still be done in 15 minutes or less. Once you have completed training and performed the procedures a few times, you’ll be amazed at just how many of them you can do each week. Do you think you can fit in a few lucrative 5-15 minute procedures into your busy day? I’d be surprised if you couldn’t. You’re probably thinking of all the patients in your practice who don’t want to pay for dental restorations. You would be surprised at how many of those same people will happily pay for facial esthetic treatments. Many patients have opinions that differ from their dentists regarding what procedures are most important, and of course, the patient is the one who chooses which procedures to have, and where to spend their money. However, getting the patient into the office for injectable esthetic or pain treatment makes it much more likely that those patients will then invest a little more in those needed dental procedures. Dentistry is the only healthcare profession capable of practicing total facial esthetics because dentists are the only professionals able to treat the teeth along with providing injectable therapies. Because of this unique skillset, dentists have a singular opportunity to offer facial esthetics with dentistry as a single package. If you’re thinking about incorporating BOTOX and dermal fillers to your practice, there are several different ways to establish fees. Fees can be based on how much product is used, areas of the face to be treated, or a flat rate can be set for total facial esthetics with a smile makeover. Depending on how much product you use, areas treated, and whether treatment includes any soft tissue enhancement, patient fees can start at $800 and go all the way to $3,000, and that doesn’t include dental treatments. You can expect to spend anywhere from 5-20 minutes on the procedure and about $100-700 on materials. It doesn’t take long for the profit to add up, especially considering how little time is needed to do the procedure. Demand for these types of treatments is increasing, and many healthcare professionals are stepping up to meet the demand. If you keep your focus on basic dentistry, you’ll soon fall behind. In the end your patients will appreciate being able to receive comprehensive treatment from someone they already know and trust. Recently, the Cedars- Sinai Movement Disorder Program conducted a small seminar, the purpose of which was to educate people with afflcited relatives, caregivers, and professionals, on the approaches to treatment and management of movement disorders like dystonia. 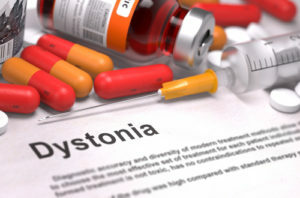 The three main prongs of treatment when it comes to management of dystonia, are medication, use of Botox injections, and deep brain stimulation. It must be noted here that the role of Botox in the treatment of movement disorders is based on its action essentially on nerves. Botox is well known for its role in the cosmetic industry, and its use to eliminate wrinkles. The way Botox is used for patients of movement disorders is derived from the same effects. Botox helps patients regain control over involuntary muslce twitches and spasmodic contractions, because it acts on nerves and works to block their conduction to muscle fibers. The result is a muscle that does not contract as frequently or as spasmodically. Of course, medication and deep brain stimulation are also open options. However, medication can sometimes end up causing side effects that do more harm than the regulatory control that they offer. Deep brain stimulation using controllers implanted in the clavicle region, are useful to provide impulses to the deeper parts of the brin using the generators implanted there. However, it is an invasive process, and the recent advances in exact placement of the electrodes have made it much more feasible to use Deep BRain Stimulation. The use of Botox injections for the ehad, neck, and upper body area, is also very beneficial. A combination of all three treatment approaches may well be the bst way to combat Movement Disorders like dystonia. Botox is a term which has now received every day use and familiarity because of its huge applications in the cosmetic industry. Botox is used, as we all know, for reducing the appearance of wrinkles in both men and women. It also has quite a few therapeutic applications, such as in the treatment of cervical dystonia, blepharospasm, chronic migraines, etc. A new potential application has emerged that could very well popularize the use of Botox even more. In May 2015, The American Urological Association was presented the results of multicenter surveys conducted by three different teams, on the use of Botulinum toxin (Onabotulinum toxin A) for the treatment of Overactive Bladder Syndrome as well as neurogenic bladder dysfunction. Overactive bladder syndrome is a condition where patients feel the need to urinate multiples times in the day and the night, s much so that it interferes with daily routine. In addition, most patients also have urinary incontinence, which means that they frequently lose bladder control and end up leaking urine, in small amounts. As you can expect, this has a huge negative impact on their quality of life. And both these conditions are worsened by lifestyle diseases such as diabetes, having a sedentary routine and lack of exercise, obesity, drinking coffee or any sources of caffeine, etc. So while a number of factors are implicated in worsening it, there is no exact cause, which makes treatment difficult. However, the study conducted proves otherwise. In a three year study which was initially randomized, researchers found that the patients who were injected with Botox had almost completely restored bladder control. The mechanism of action of Botox, even in the face, is that it acts on nerves and stops them from transmitting signals. This action, in the bladder, translates to directly reducing the ‘feeling’ or ‘urge’ to urinate even on a partially filled bladder. As a result, patients do not need to ‘go’ as often, and can control their bladder vastly better. It was also noticed that patients with fewer treatments had much better response than patients who received more treatments, which only goes to show the lasting efficacy of Botox for the bladder. In fact, some patients were able to maintain control for up to a year after just one treatment. This mode of treatment of bladder control issues with Botox could very well revolutionize the treatment approach for people with urinary incontinence. It was also noted that patients showed brilliant responses to long term therapy, with a noticeable reduction in the number of times they had to urinate during the day and night, as well as better control over the ‘urge’. The lack of side effects was another significant factor. However some patients did develop mild urinary tract infections, possible as a consequence of intstrumentation, but urinary tract infections are already an extremely common occurrence in people with urinary incontinence, so the link may be to the preexisting disease rather than the treatment. There were no other side effects noted at all. A second study was conducted to analyze the effect of Botox in patients who have Overactive Bladder syndrome which doesn’t have a specific cause (idiopathic), to determine if acute urinary retention occurs in patients who have been given Botox and required catherization, and if so, if it occurs because of the treatment. It was found that a large percentage of patients who developed acute urinary retention were diabetics. But in the course of the whole study, only a small percentage developed acute urinary retention, and the researchers settled with listing acute urinary retention as a possible risk, as well as needing to alter the definition of urinary retention to better be understood, as well. A third study was conducted in patients who have neurogenic bladder problems. Neurogenic Detrusor Overactivity is a condition seen in patients who have had spinal injuries or nerve injuries, or are suffering from nerve degenerative disorders like multiple sclerosis. As a consequence of the overactivity, the detrusor muscle contracts while urinating, interrupting the voiding of the bladder. This leads to urge incontinence, residual urine volume in the bladder, nighttime wetting and leaking of the bladder during the day, etc. While the conservative mode of treatment is teaching these patients to catheterize themselves to void their bladder completely, Botox injections have come to the forefront as an excellent treatment option. The aforementioned study was conducted over a period of four years, measuring the response in patients as well as the change in the consistency of the response in patients, over the four year period of time. It was found that not only did almost all the patients have a reduction in bladder overactivity by more than 50%, but the response was sustained. Their bladder control did not diminish over the period of time, either, but rather, improved. This makes Botox eminently suited in becoming the first line of treatment for suitable patients, rather than having to make the patients catherize themselves just to void their bladder. 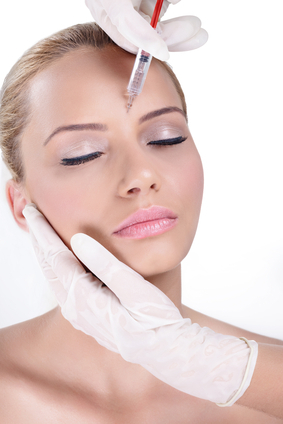 Further applications of Botox (onabotulinum A toxin) are also being researched. A new version of an existing surgical procedure used to treat severe chronic migraines offers some degree of relief in more than 90% of patients who underwent the procedure at Massachusetts General Hospital. Doctors at the hospital’s division of Plastic and Reconstructive Surgery found that more than half of the 35 patients who are treated with the non-endoscopic version of the procedure to treat migraine headaches caused by compression of craniofacial nerves were completely free of their migraine symptoms a full year after the procedure. The study can be found in the Journal Plastic and Reconstructive Surgery. William G. (Jay) Austen, Jr., MD, chief of Plastic and Reconstructive Surgery at MGH, who led the study, said that his team found the surgery using the same incisions used in cosmetic procedures were highly effective for treating many cases of severe migraine. Formerly, this procedure involves using an endoscope, which often made it impractical as some surgeons lack access to the equipment or are inexperienced with the equipment. The team hopes the non-endoscopic version will lead to wider availability of the treatment. Dr. Bahman Guyuron, MD, a plastic surgeon in Cleveland, found that many patients with migraines who underwent cosmetic procedures involving the forehead experienced relief of their migraine symptoms. A number of studies by him and other researchers support the idea that compression certain terms can be an important factor in migraine symptoms for some patients. That some patients experience temporary relief after injections of botulinum toxin (Botox), which tends to release pressure and overactive muscles, offers additional support. While the original version this procedure involved use of an endoscope to remove certain muscles, the Massachusetts team has focused on developing alternative methods for accessing specific areas of nerve pressure using the same types of incisions frequently used in cosmetic procedures. Participants in the study all experienced chronic migraines confirmed by a thorough neurological exam and had not been able to get relief from more conventional therapies. All participants had experienced temporary symptom relief from Botox or nerve blocks. Trigger point specific to the patient’s were identified based on each individual symptoms and histories. The procedure was used to release the specific sites from muscles, connective tissue, bony structures, and blood vessels. For the study, researchers looked at 35 patients who underwent 43 total procedures. Of the 43 procedures, 90.1% provided relief of symptoms defined as at least 50% improvement in frequency, duration, and severity. And 51.3% of the procedures patients experienced complete elimination of their symptoms, 28.2% of patients experienced at least 80% improvement, while the remaining 20.5% experienced between 50 and 80% improvement. Austen points out that patient selection is crucial. Patients should undergo a thorough neurological evaluation prior to having the surgery. The procedure is still relatively new and studies are underway to develop better ways of determining which patients are good candidates for the procedure. The researchers are hoping to establish stronger evidence that the procedure will be successful when performed by other surgeons at other centers. It is too early to call this procedure a migraine cure, but the results do suggest that it can improve the quality of life for many patients. Click here to read about our Botox Injection Training Course.